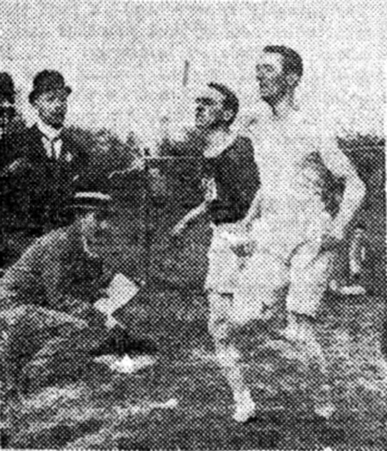 The following detiled and well-researched piece about John McGough has been written by Alex Wilson who has provided all the photographgs, except for the 1907 AAA’s championship and the Olympic trial which appear courtesy of Kevin Kelly. On July 2nd McGough renewed his rivalry with Alf Shrubb in the mile flat race at the A.A.A. championships at Rochdale. 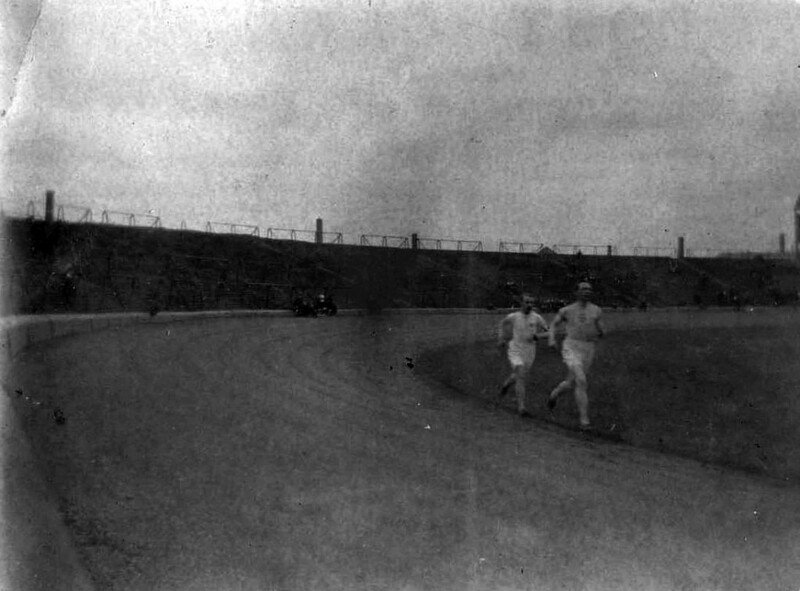 Shrubb, as expected, took the lead early on and, setting a fast pace considering the stormy weather, held it until 300 yard from home, when Joe Binks, the British record holder, went ahead. Shrubb, however, came again, and won a desperately close race by a yard, just managing to hold off McGough, whose late charge carried him past Binks and into the silver medal position. 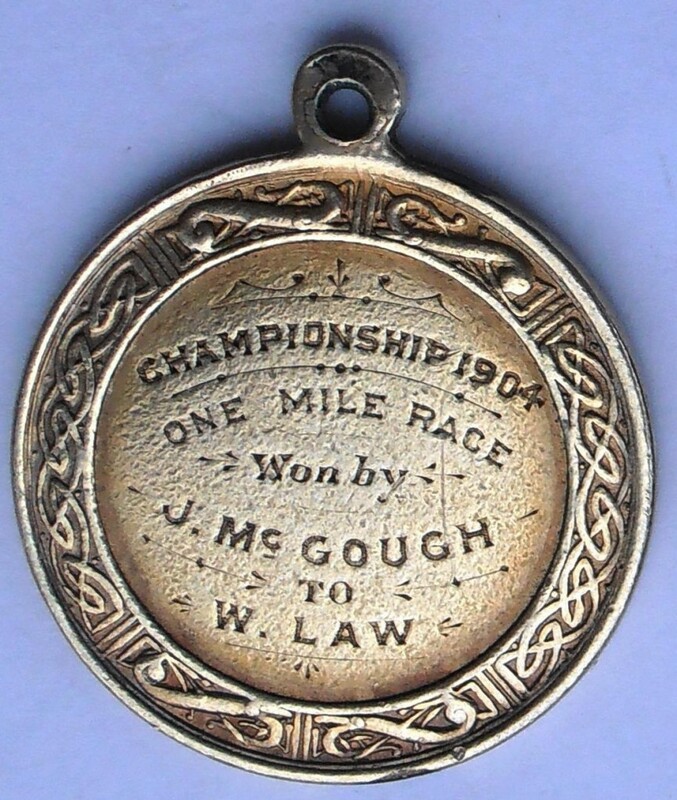 McGough’s time of 4:22.2 was faster than he had ever previously run in public and some consolation for narrowly failing to win this, the blue ribband event. 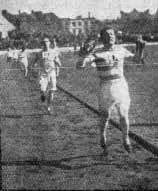 Among Scots (amateurs), only Hugh Welsh had run faster. 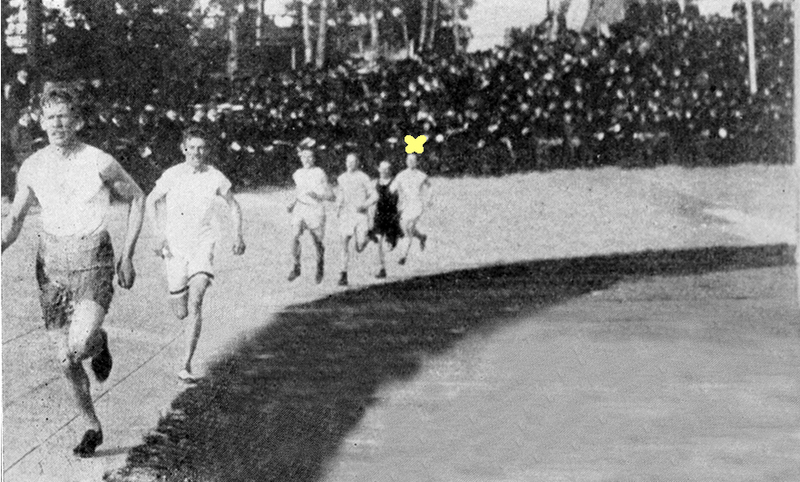 In 1906 Shrubb would describe this race as the hardest battle he had ever had. The 1906 Intercalated Games, celebrated in Athens, Greece, were an aberration, the only Games in Olympic history to break the quadrennial sequence. There was no UK selection process per se. Eligible athletes were invited to notify the A.A.A. of their definite intention to compete on the understanding that they would do so at their own expense. 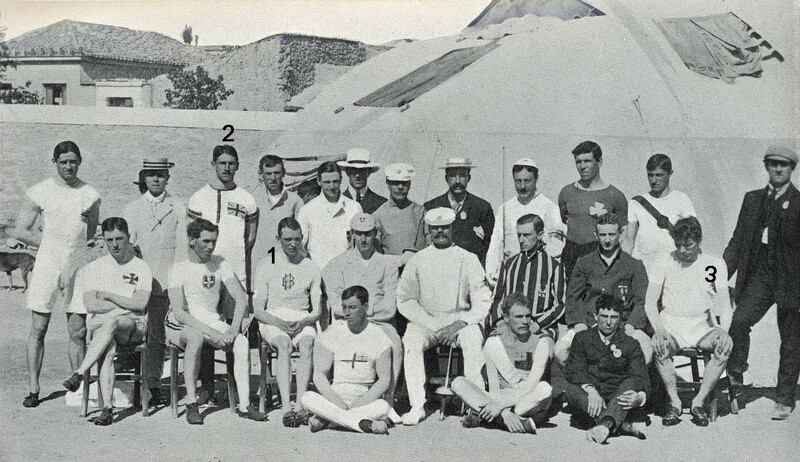 Only a small number of entries were received from British athletes, owing to the prohibitive cost of travelling to Athens and back, and the sheer amount of time involved in making the trip. They included several Oxbridge students and Lieutenant Halswelle, the great Scots hope. With Ireland competing under the British flag, given that it did not have a national Olympic committee, the two feuding Irish amateur athletics federations, the Irish Amateur Athletic Association (I.A.A.A.) and the Gaelic Athletic Association (G.A.A. ), raised subscriptions to send three of their athletes. The roster also included the Bellahouston pair of John McGough and William Davison Anderson, whose participation was, presumably, paid for by a subscription and/or by a grant from the special fund of £208 that the Greek government had given to the English A.A.A. 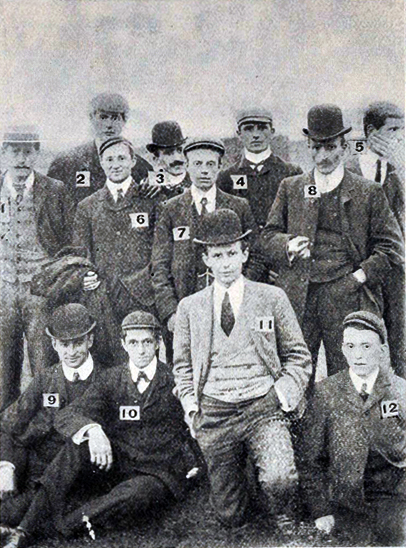 Notable absentees included Alf Shrubb, who had turned professional after being suspended; and George Butterfield, a busy hotelier. 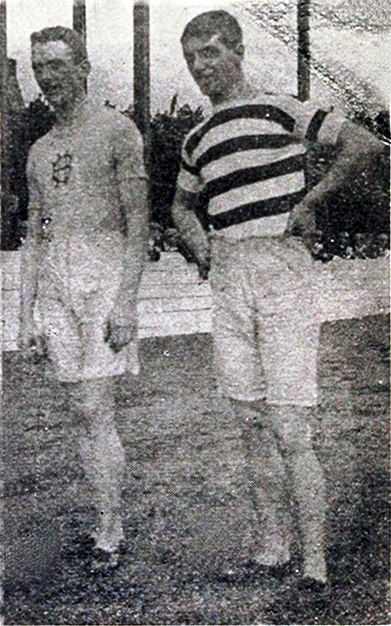 The Glasgow Herald encapsulated his 1906 season thus: “Next to Lieutenant Halswelle, there is no more interesting personality in athletics circles than John McGough, of the Bellahouston Harriers. The S.A.A.A. 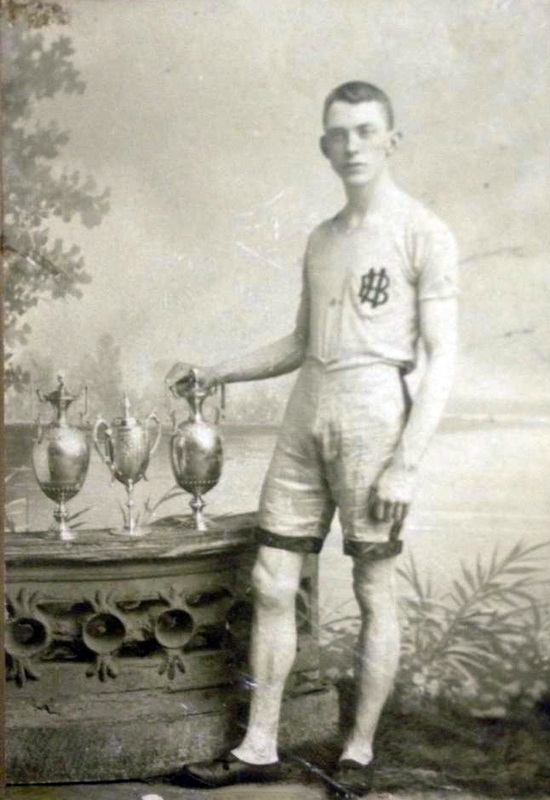 champion is one of ourselves in the sense that he is a product of the Glasgow school of athletics, and that, no doubt, accounts largely for his popularity in and around the city. McGough has had a very successful season – in fact, the most successful in his career. He may have won more prizes last season, but his racing has touched a higher level this season, and that, after all, is the greater accoont than the accumulation of silver plate. His best performance was in the English championships in July, when he ran second to George Butterfield in the mile in 4 min. 19 sec. McGough should have won this race, as at the finish he was comparatively fresh, while the Darlington runner was all out. McGough did the mile at Belfast in 4 min. 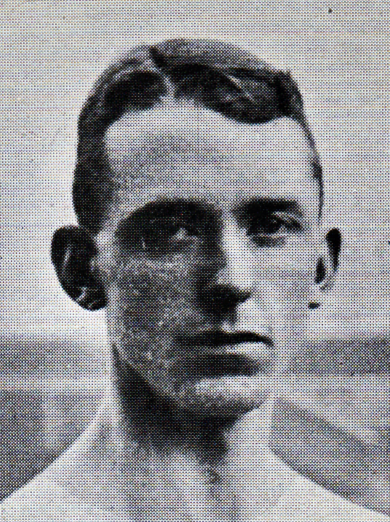 20 sec., which is his next best performance; while his Scottish record at the Celtic sports comes next, though possibly it will be remembered long after the others are forgotten owing to the fact that it is enhanced in the official records of the S.A.A.A.“ The naked figures for the season were 14 firsts, 9 seconds and 2 thirds. But, of course, they do not tell the full story.